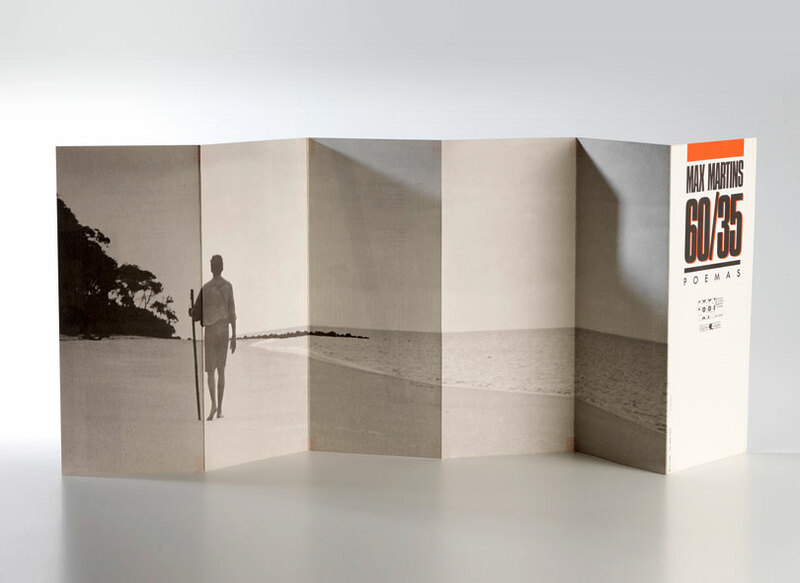 Another book object for Max Martins (1926–2009) – this time a folder in commemorating 60 years of the poet and 35 since his launch into books. Softcover in cardboard, 35,5 x 16 cm. Folder, 32,5 x 87,5 cm. A SECDET/Edições Grápho edition, Brazil.